Create an environment, free from pressure in which children can develop skills, a sense of purpose in life, an understanding of discipline and an appreciation of beauty. Parents become expert observers of their own children. Children watch the actions of the parent and gradually begin to imitate them. This process is one to be enjoyed and celebrated as each new development is observed --[just as you do when your baby utters those first few words]. Listening was long thought to be of no benefit for infants in the womb. Studies today abound - extolling the benefits of such listening for both the parent and the child. Suzuki recognized the importance of prenatal listening and advocated playing classical music for the unborn fetus. He had observed that children who listen daily to one piece of music before birth, recognized it as their own music after birth. Scientists today have shown that babies are born with a predilection for their parents' voice over others in a room. 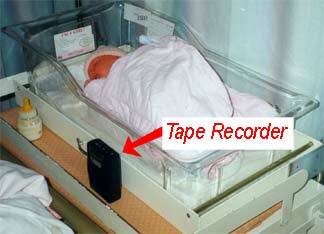 They recognize the sound and turn toward their own parent's voices a few hours after birth. Before the child is born, the fetus can hear voices and learns to distinguish sounds. The ear is the first organ to fully develop. The child learns through the senses and is off to a very fast start at birth. Sounds, physical comfort and visual stimulation shape the development. Stay with this skill until it is thoroughy mastered. Each new idea is a challenge, that when mastered will lead to successful understanding of the child's environment. Mixed Age Groups work best! Older children learn sensitivity and the opporutnity to model for younger children while younger children develop skills more quickly and securely with the older children as models.